Registered users can sign up to be notified when items of interest change or are added to this website. Notification will be in the form of an email sent to the participant when there is activity on the items they have chosen to "watch". Learn more. Registered users can save searches and "bookmarks" to specific pages of the law in a personal filing cabinet for quick reference later. Unlike printed copies or documents saved to disk, which can quickly become outdated, information stored in the filing cabinet will always remain current. 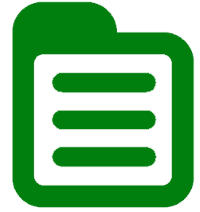 Collections of diverse MCL section documents can be placed into a registered user's print basket, which allows the creation of a single, custom document for printing. Such a virtual document can also be saved into the filing cabinet, where it will automatically reflect changes made to the MCL sections it contains. For quick and easy access to information, experienced registered users can arrange their own navigation layout. Learn more.